Walt Disney World has announced Mickey’s Not-So-Scary Halloween Party will add a few new treats to the evening’s festivities. Sunday, January 7, the Magic Kingdom was filled with crowds of black and gold as the undefeated UCF Knights football team was honored with a parade down Main Street U.S.A. The parade also included UCF cheerleaders and The Marching Knights, the university’s official band. 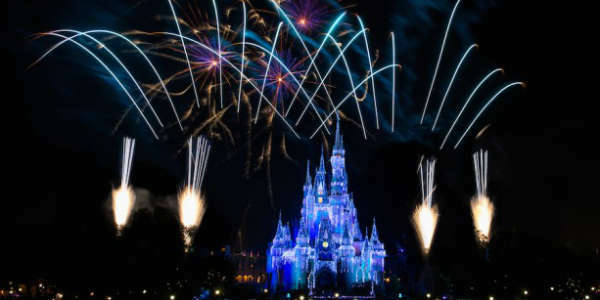 To close out 2017, Walt Disney World will be live streaming its “Fantasy In the Sky” fireworks from the Magic Kingdom on December 31. 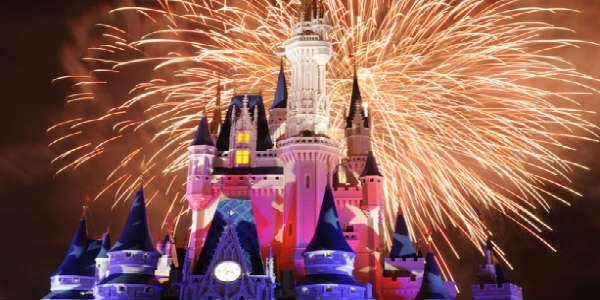 If you can’t be there in person, this is the next best way to ring in the new year with Disney. Mickey’s Very Merry Christmas Party at Walt Disney World is one of the best holiday celebrations in Orlando, and we have the 2017 dates for the event. 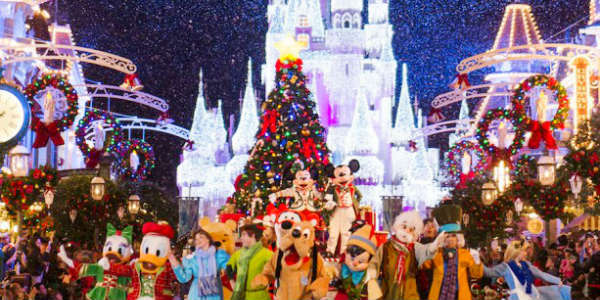 This family-friendly celebration has several returning favorites, including “Holiday Wishes,” and “A Frozen Holiday Wish,” along with the centerpiece of the party, Mickey’s Once Upon a Christmastime Parade. Mark your calendars Disney fans, dates have been announced for this year’s Mickey’s Not-So-Scary Halloween Party at Walt Disney World. 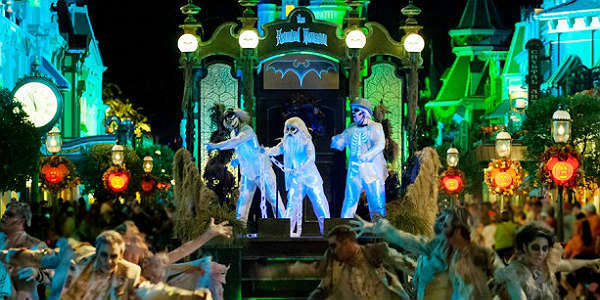 This family-friendly Halloween features trick-or-treating, Disney characters dressed up in their spooky finest, and several fan favorite shows. 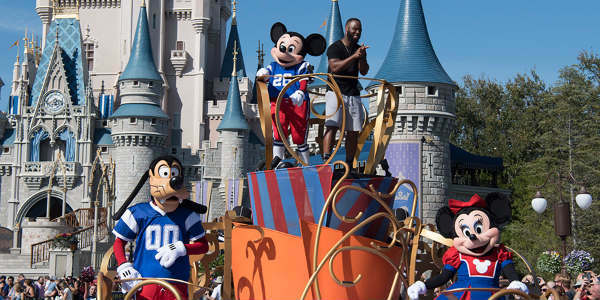 Mere hours after helping the New England Patriots win this year’s Super Bowl, running back James White celebrated with Mickey Mouse at Walt Disney World. In a parade than ran down Main Street U.S.A., White and Mickey shared a perch on a float that also had Goofy and Minnie Mouse, all dressed in their football finest. 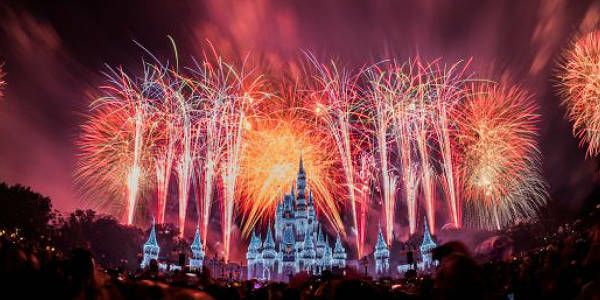 This year you can enjoy the New Year’s Eve fireworks at the Magic Kingdom from the comfort of your home when Walt DIsney World streams them online. 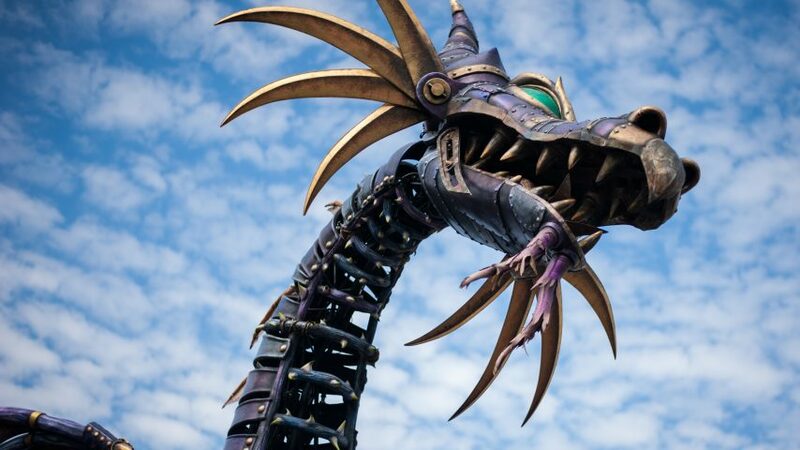 The December 31 edition of Fantasy in the Sky will be shown live, starting at 11:45pm EST, on the official Disney Parks Blog. 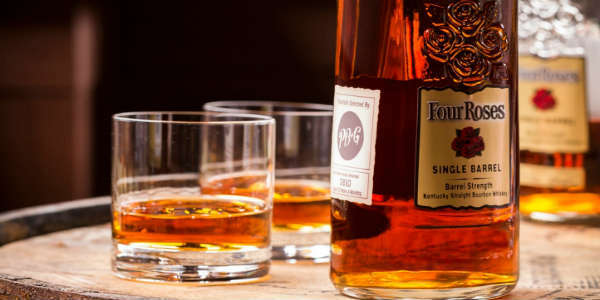 It will appear in a blog post at the top of the page. After a nail-biting Game 7, the Chicago Cubs ended a 108 year quest by winning the World Series. To celebrate, Walt Disney World is hosting a parade featuring some of the players on Saturday, November 5. 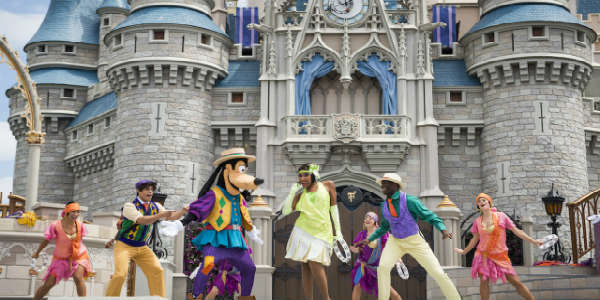 As part of their on-going series of event streaming, Walt Disney World has announced they will live broadcast from the parks on Sunday, September 18. 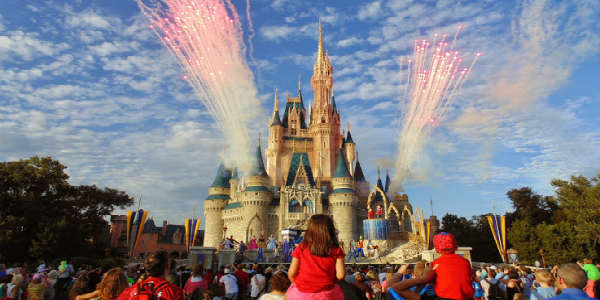 This afternoon, Disney Parks will live stream “Mickey’s Royal Friendship Faire,” live from Cinderella’s Castle at Magic Kingdom. 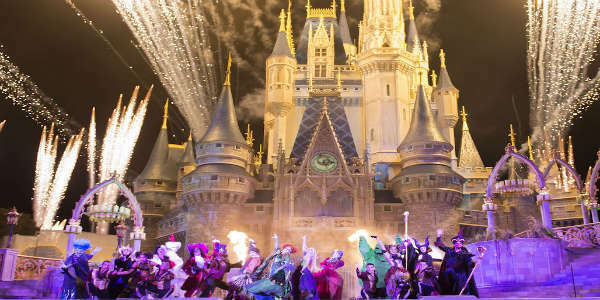 The new stage show debuted last month, and brings beloved Disney stories to life in a spectacular performance that features an original song, memorable music, dancing, delightful costumes and magical special effects.